The birdhouse hole size chart below is meant to be a general guideline of how each species of bird prefer their home. 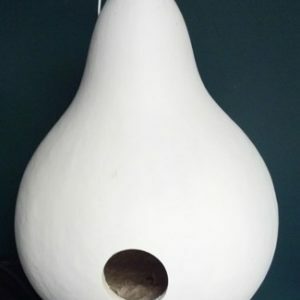 Individual birds may use an entrance hole slightly smaller or larger than the size listed. Buy the next size up if you don’t see one that matches exactly. 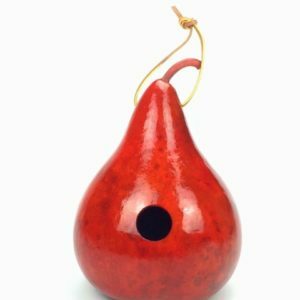 All of the birds listed below are cavity nesting birds and will use a gourd for their home if it is positioned and hung properly. 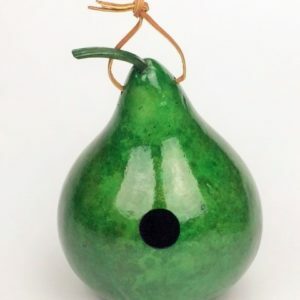 Some species don’t like the gourd to swing very much, others like it. 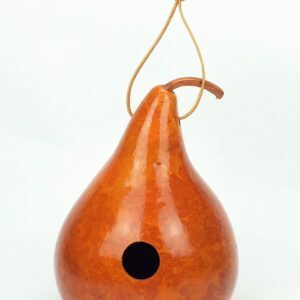 If you’re trying to attract the types of birds that don’t like the gourd to swing, use a metal coat hanger or other means to stabilize the gourd on the branch. Many birds also prefer the opening to be away from the prevailing winds. 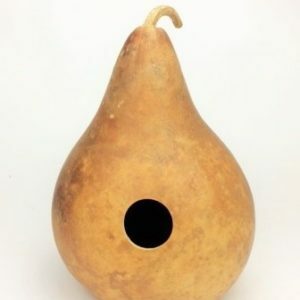 In any event, there is such a shortage of cavities for birds to live in, your gourd birdhouse should be filled in no time. 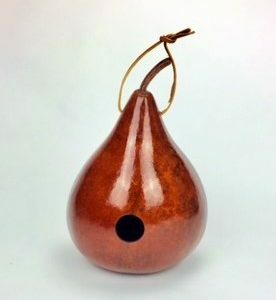 Gourds hung in early spring usually get filled by a new family by breeding time in late spring and early summer. 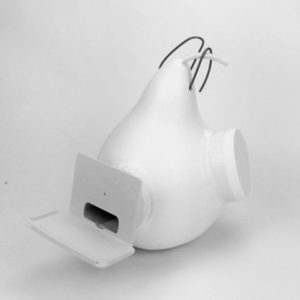 Read about the Shortage for Cavity Nesting Birds. 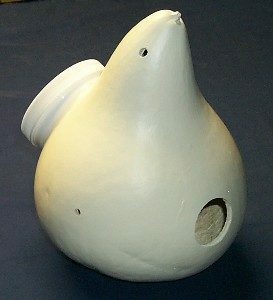 Robins, Phoebes, and Barn Swallows prefer open sides on their homes so they can see out in many directions. 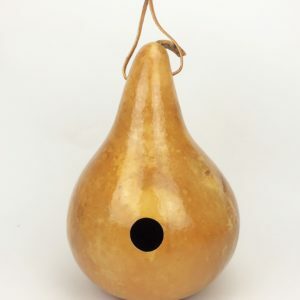 For these species, use one of our gourd nest boxes.